There’s a lot of talk in the Paleo world these days about customizing Paleo to fit our individual needs. There’s the 80/20 rule, where an individual can be living strict Paleo only 80% of the time and have sensible non-Paleo foods and treats the other 20%. There’s the cold-turkey 30 Day approach to going Paleo. There’s an allowance for more carbs for a more active lifestyle. And then there’s dairy–lots of talk about dairy–cheese, raw milk, kefir and other sources leave a pick-and-choose kind of approach for each individual. I whole-heartedly agree with a variety of approaches to meet a variety of needs, and I think the Paleo Community is doing an excellent job of forward thinking to support the needs of different bodies, personalities, and learning styles. There’s so much support in this community and what I hear most often is the consistent message–Find Clean Food that works for Your Body. After two years of living a Paleo Lifestyle, we can safely say that there is no such thing as Perfect Paleo. We think that living Paleo can best be described as an individual’s journey toward better health through educated food and lifestyle choices. To find the consistencies within the inconsistencies is the job of the individual and giving this power to an enabled, educated, and willing individual is a recipe for success. We also have come to believe that there is a very important message that must be delivered as a tag line within the variety of approaches. It goes like this: In addition to changing the way you eat, you must change your lifestyle to Prepare this healthy food that nourishes your body. Planning meals, shopping, and making time to prepare them is crucial for cleaning eating and success with any kind of Paleo plan. I know this is hard. Our world is full of fast-paced activities and commitments that take us right up to the dinner hour. McDonald’s and Taco Bell become quick options for dinner when the family is starving and there’s nothing ready at home. I get it, and we used to live that way. We definitely miss the convenience of our old SAD (Standard American Diet). I was just talking about this very topic with my friend Rachel (a fellow Paleo mom) a couple of weeks ago. We were fantasizing about the old days and how easy and freeing it was to order a pizza for dinner. If you are serious about eating Paleo, picking up dinner is not an option. It’s a plain and simple lifestyle change to cook and prepare food like our grandparents used to do it. On Saturday morning, we look at the schedule for the upcoming week and write down which evenings look crazier than others. 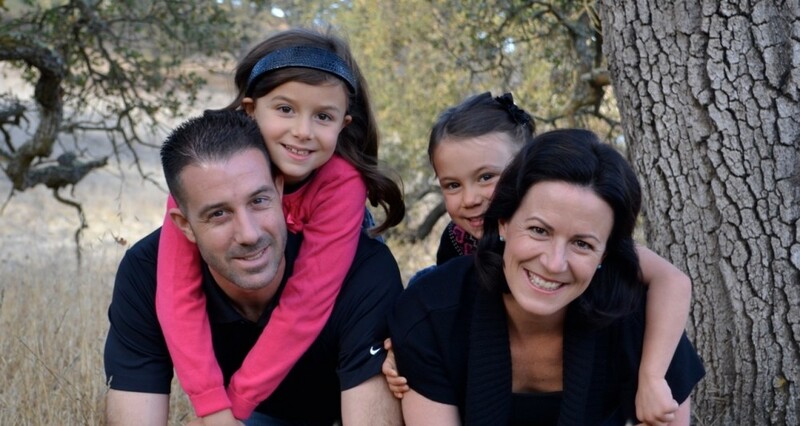 Our family juggles school, therapies, swimming lessons, workouts for Mom & Dad, and lots of dance lessons for the girls. 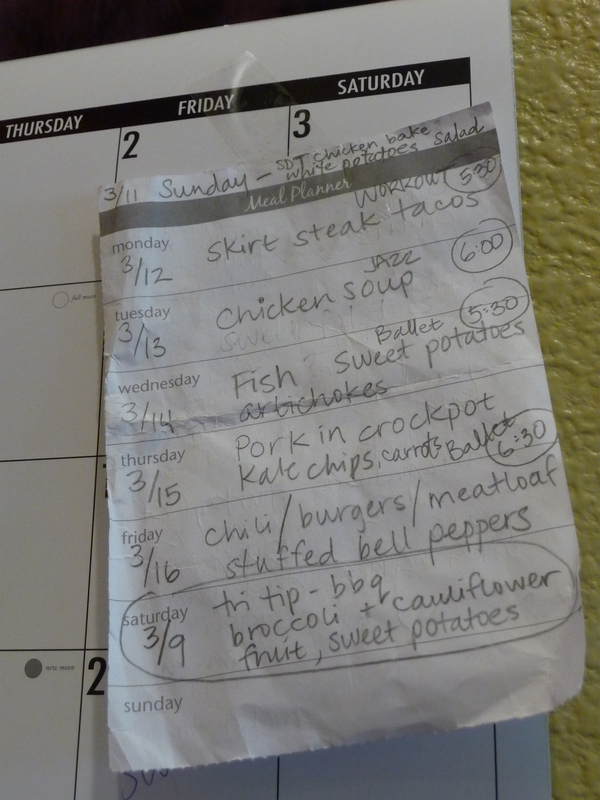 I know it’s the start of the weekend and I really don’t want to think about the next week either, but the list for the grocery store needs to be made and the meals for the week must be made from those groceries. So, we look at the meats that are in the freezer and fill in the protein for each dinner. We consider which nights need an easy-to-prepare-protein and which nights will take more prep and time. Typically, on Mondays we have skirt steak. Tuesdays we make chicken thighs. On Wednesdays Chad picks up fresh fish. Thursdays we have pork, and Fridays we usually have ground beef. Saturdays we start the rotation over again but we don’t plan the weekends ahead, as there’s always last-minute company for dinner or a change of plans. We don’t plan to eat leftovers for dinner. They are gobbled up for lunch by myself and the kids, and there’s rarely any wasted food. Next, we fill in the veggies to go with each protein. Sometimes, the veggies and the sides make a meal, and other times the veggies just exist separate from the protein. This is where the Paleo websites and cookbooks come in handy (see our family favorites at the end of this post). 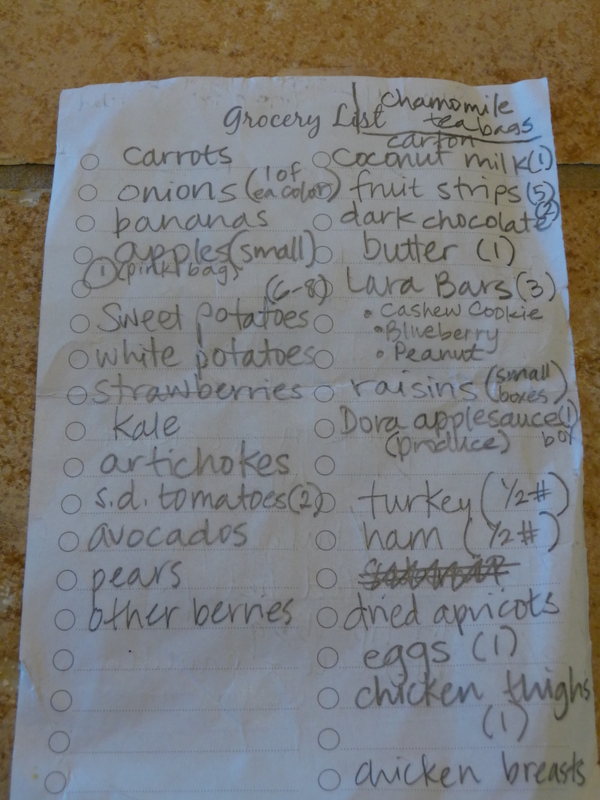 From here we make our grocery list that typically lists all produce section items on one side and all other items on the other side. Now that the meals are planned and the groceries are bought, it’s time for teamwork. Communication is essential to making this work. It takes a strong team to put dinner on the table every night. Split the jobs and be clear about timing and expectations. The parent that picks up kids is in charge of making sure they have healthy snacks after school, practice, or therapy to prevent a meltdown. 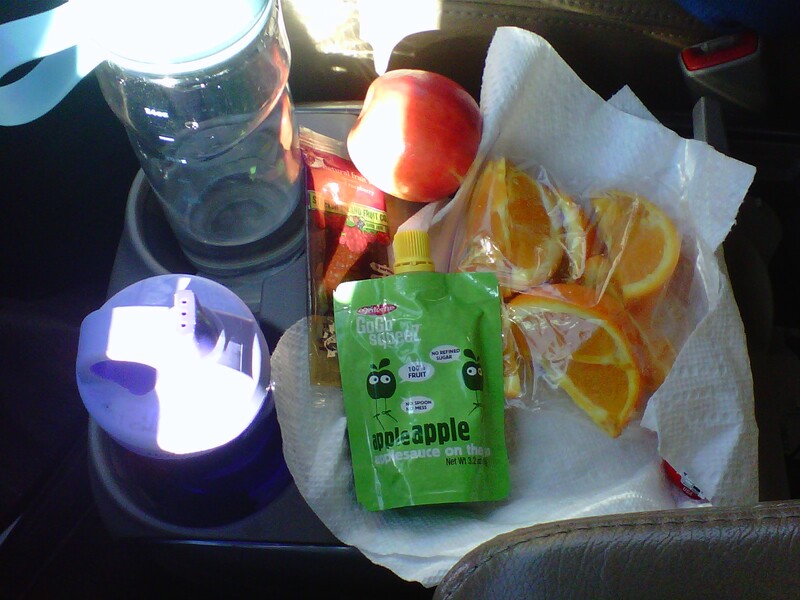 We love beef jerky, almonds, squeezable applesauces, and even smoothies. The parent that arrives home first knows the plan and starts some kind of dinner prep…washing veggies, putting meat in the oven, or starting the barbecue. If one parent plans the meals, shops for the food, cooks the dinners, and cleans it all up, it’s a recipe for burnout and you’re back to ordering pizzas. It needs to be a team effort. If you are the parent that does not cook or doesn’t even know where to start in the kitchen (that used to be me), offer to do the weekly grocery shopping and nightly clean up. 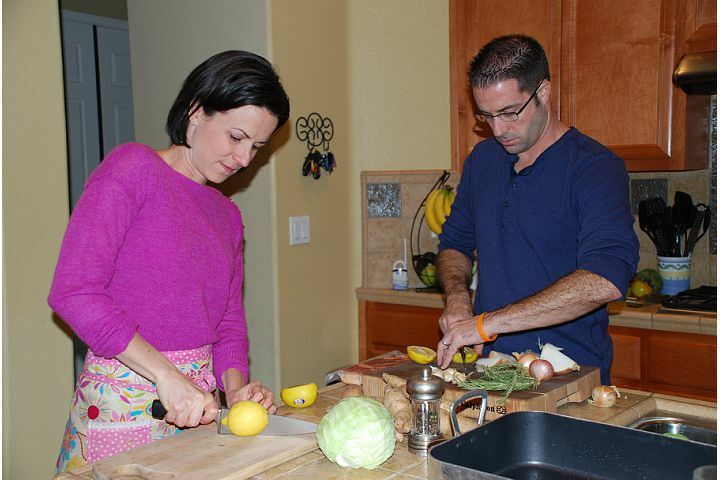 Have your partner teach you some basic cooking skills to share some of the easier duties. Have a back-up plan in case someone gets home late, the meat is still frozen or the kids have melted, regardless of your best efforts. Our back-up plan is always eggs. You’d be amazed how fast you can whip up a omlette or scrambled eggs for an easy and nutritious dinner. It may seem labor intensive and very different at first, but making time to plan and prepare meals is the way many generations before us have eaten. We need to go back to our roots and stay away from food that comes from a package or a drive thru window. Give your family the gift of health in the form of a family dinner that you’ve prepared. Here’s links to some of our favorite recipes. I recently found the website PaleoPot which offers Paleo friendly meals for your Crock Pot or slow cooker. We have yet to try any recipes, but we will be checking them out soon and using any ideas for those extra busy weeknights. Please use the comments section to share any of your tips for preparing Paleo foods or making Paleo work with a busy family. This entry was posted in Ideas & Inspiration, Meals and tagged dinner hour, lifestyle choices by peacelovepaleo. Bookmark the permalink. I really liked this post, Joy! Joy I’m just learning about all of this and I’m starting slowly by focusing on avoiding processed foods, preservatives, artificial flavors etc.. but I noticed you mentioned lunch meat/salami, fruit leather and Lara bars which I thought are processed foods? do you make our own Fruit leather? Hi Serena, thanks for the comment. There is a wide range when it comes to “processed” foods. My guideline for choosing a packaged/processed food is to check the ingredients. If the ingredients are recognizable, readable items that you would have in your own kitchen, then the food is less likely to cause inflammation in the body. As you begin to try different foods, you will notice what works best for your child or yourself. For example, Lara bars work for my kids but are way too sweet for me. Salami works as a good option for Dana, but isn’t ideal for Charlotte. Paleo is not one size fits all, but is more of a trial and error journey that leads toward better health.